Similar wedding venues nearby: Birtsmorton Court, Sudeley Castle, Hagley Hall, Grafton Manor, Sezincote. 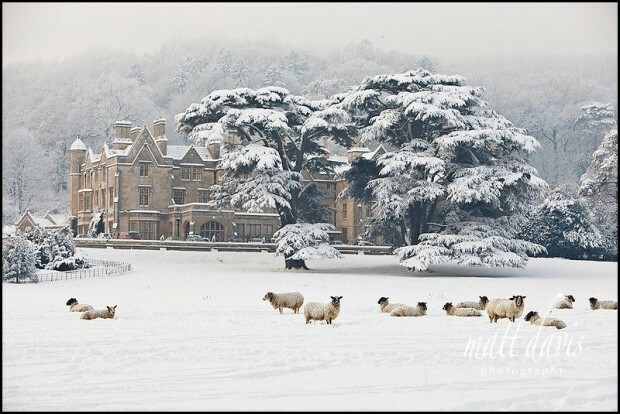 I’ve photographed weddings at Dumbleton Hall on some very hot summers days and conversely in winter 2010 one of the snowiest days we have had in the Cotswolds for years. 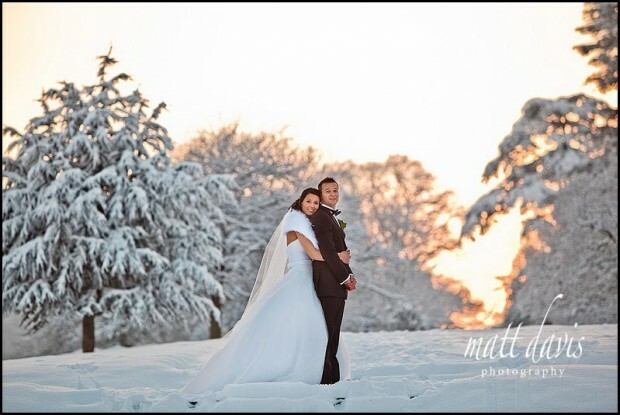 It’s a venue that caters well for winter weddings, with plenty of space inside for guests to enjoy the drinks reception without feeling penned in. If you have fine weather though the extensive grounds have many opportunities for great wedding photos, although what appears to be a short walk down the drive can often take longer than you think! Inside the room used for a civil ceremony and/or your wedding breakfast is well arranged, and works well for photography during the ceremony. If you’re considering a Church wedding then Dumbleton Hall has a church perfectly on it’s doorstep……right at the bottom of it’s long driveway. 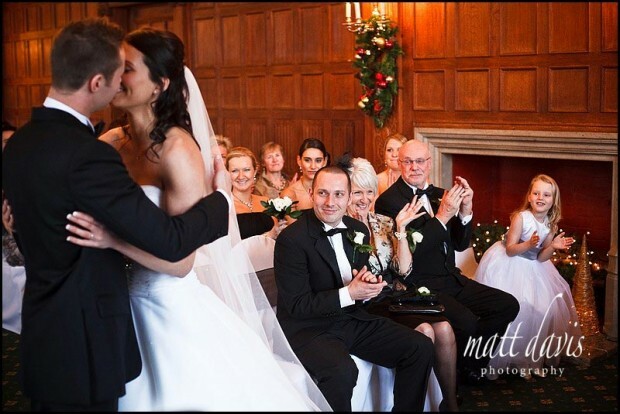 You may like to see weddings at Dumbleton Hall on my blog or read some wedding testimonials from previous clients. If you are considering a wedding at Dumbleton Hall and like the photos you’ve seen, please contact me for a chat. I am a recommended photographer for Dumbleton Hall and examples of my work can be seen on their website and in their wedding brochures.